We're now down to less than two weeks before we make the move up to Gainesville. So instead of reviewing one restaurant this week, I thought I'd provide brief summaries of the places we've eaten at the past two weeks. Thanks again to everyone who posted suggestions of Tampa Bay restaurants to visit one last time before we move, as well as an unexpected number of places to try out in Gainesville. Two weekends ago we checked out the recently-opened CDB's Southside Italian Restaurant on S.Westshore Blvd (in the same spot as the old Cafe Anna). We were told by our server that this new location is more upscale than the CDB's near USF and in Lakeland (we haven't been to either). While the place felt cramped and prices were on the high side, we enjoyed the deep dish pizza and the roasted eggplant appetizer that we ordered. We also made a return visit to La Teresita one evening and again ate like champs for a bargain price. Thanks to David Jenkins, I enjoyed a delicious vaca frita. Another evening, some friends took us out to Red Mesa in St. Pete. This remains my favorite local restaurant for Southwest-style cuisine. This past weekend, with my parents and younger brother and his girlfriend in town visiting, we hit Castellano & Pizzo for lunch with Cuban sandwiches all around. We had originally planned on Wright's, but after pulling up and seeing the line snaking out the door, I knew a change of plans was in store. We were looking for a place Friday night that was close by and on the water so we went to RattleFish Raw Bar & Grill. We knew we'd be paying up for the view of the bay. My fish tacos were okay and everyone in our group was generally happy, but Traci's burger was undercooked. This place continues to slip. On Saturday evening, we headed out to Clearwater Beach with plans of having dinner at Frenchy's Rockaway Grill. The place was understandably packed ahead of sunset, and knowing that my family hates to wait, we decided to try the much smaller "The Original" Frenchy's Cafe just a few blocks away. The food wasn't award-winning, but the prices were good, and there wasn't a wait. We were able to walk right up and grab one of the handful of tables outside. My steamed mussels were good, but my cup of gumbo was lukewarm. Before we go, we still plan to check out Mel's Hot Dogs, which is a clear reader favorite, and make a return visit to The Chattaway in St. Pete. A stop at El Taconazo is another possibility. Finally, doing a fancy Sunday brunch as a going away treat is also on our list - either Oystercatchers, the Don CeSar or the Vinoy. Thanks again to everyone for all of the comments and ideas over the past year. After a little bit of a break, we're back. Over the past few weeks, we've checked out two Tampa institutions when it comes to Cuban food - Arco-Iris and La Teresita. 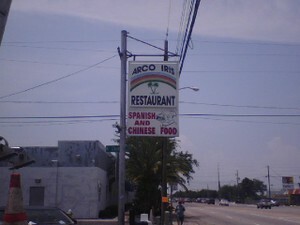 Both restaurants are located off of Dale Mabry on W. Columbus Drive, which is sort of the Tampa equivalent of Miami's Calle Ocho. When we visited La Teresita several weeks ago, the first thing we noticed was the great smells of Cuban food that hit us the moment we got out of the car. We went on a weekend and the place was buzzing with activity. We found two open stools at one of the packed counters and sat down. While our server struggled to keep up w ith her counter area, the food was great- and the portions were huge and cheap. I ordered ropa vieja with yellow rice and black beans and Traci ordered traditional chicken and yellow rice. The buttered Cuban bread at La Teresita was particularly addictive. Everyone was friendly and we left stuffed. I've heard the knock before that La Teresita isn't clean etc, but we didn't have any problem (their kitchen I'd rather not think about). From a customer point of view, it looks the same as pretty much any old diner - worn down, but comfortable. If you're expecting frills, this certainly isn't your place. This past weekend, we decided to check out Arco-Iris, which is only a few doors down from La Teresita. 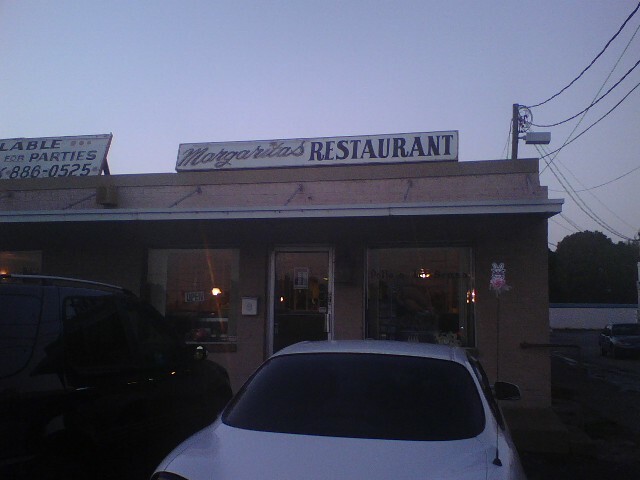 We found the food to be equally as good, although we like the diner-like buzz of La Teresita more. Arco- Iris is more of a traditional sit-down place. Again, nothing fancy. The focus is on the tasty and affordable food. At Arco-Iris, I ordered carne asada with yellow rice and black beans. Traci went with chicken and onions with the yellow rice and black beans too. Again, we came away stuffed and happy. La Teresita and Arco-Iris both serve several Cuban-Chinese dishes as well, which sounded interesting but we decided to stick with old stand-bys. Sue Carlton explained in a recent column the Cuban-Chinese connection, which goes back many years. Fried rice with plantains is certainly a unique combination. I am glad that I didn't check out the health inspection reports on either until after our visits. Bottom-line: I should have explored Columbus sooner. For those of you looking for authentic Cuban food in big portions at cheap prices, head over to La Teresita or Arco-Iris, two uniquely Tampa experiences. La Teresita Inspection Scorecard: Last Inspection: March 2007 violations - Critical (8), Non-Critical (12). Arco-Iris Inspection Scorecard: Last Inspection: April 2007 violations - Critical (14), Non-Critical (7). After a mediocre experience last week at flashy corporate-owned Dan Marino's, we were looking for more of an independent, neighborhood place this past weekend. A place where the focus was on good food and it didn't matter what you were wearing. 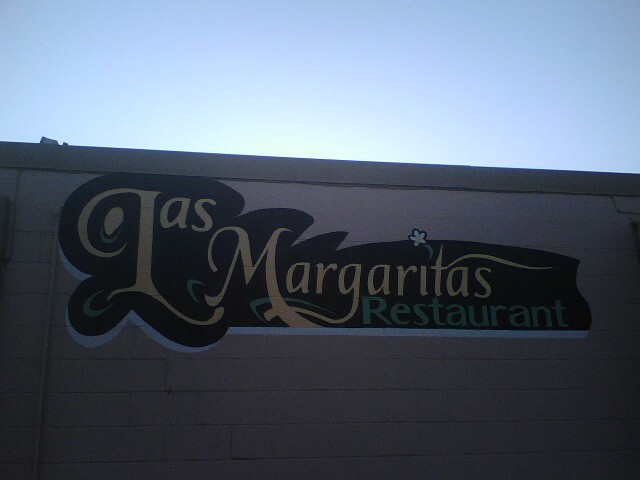 Everything I had read about Las Margarita's, a little Cuban restaurant in West Tampa off Hillsborough near the airport, sounded like our kind of place. When we pulled up to the little restaurant and saw its weather-beaten exterior, I still thought we were in for a treat. Our favorite Cuban sandwich shop in Ybor, La Tropicana, similarly looks like it has seen better days from the outside. I was still optimistic after sitting down, even with a TV blaring in Spanish right behind our table. Our favorite Cuban restaurant in the area, Habana Cafe over in Gulfport (south Pinellas) also occasionally has a TV on in the main room. Fine with me if the food is great. For a starter, we ordered chicharrones de pollo, which was described as marinated chicken with a garlic dipping sauce. What came out were mild little pieces of chicken that tasted fried. The dipping sauce was oil with a little parsley. Maybe the main courses were where this little restaurant would shine. I ordered ropa vieja with black beans and rice, and Traci ordered lemon buttered chicken with rice and beans too. I'm not an expert on ropa vieja, but my beef was stringy, dry and not very flavorful. I also didn't really like the rice. The beans were excellent. As for Traci's chicken, it reminded us of a typical rotisserie chicken without as much flavor. A tasty arroz con pollo at The Columbia this was not. Our meals also came with side salads which were iceberg lettuce with a slice of tomato and dressing on top. We weren't expecting anything fancy, and maybe we've been spoiled by the side salads at Habana Cafe or even La Tropicana, but this was a weak little salad. On the plus side, the prices were very reasonable (under $10) for a full meal - entree, two sides and a salad. Service was friendly and the place is obviously authentic. Las Margaritas has been around for over 25 years so clearly it is doing something right. Maybe we visited on an off night and/or just didn't order the right dishes. So what's your favorite Cuban restaurant in the Bay area? Other Cuban places we've tried and weren't particularly excited by include Habana Village on Dale Mabry and Kennedy, and Miramar (now called Bellamar I think; we haven't been since the name changed) on West Shore. We'd like to hit Pipo's, La Teresita and some of the other little Cuban places along Columbus one of these days. Bottom-line: Las Margaritas had all of the makings of a good little spot for inexpensive Cuban, but unfortunately our experience was underwhelming. Midway through our meal I was wishing that we had driven over to Habana Cafe in Gulfport, a mid-priced Cuban restaurant which rarely disappoints.